I felt a lot of thrift store sweaters, so I often have a little from this sweater, a little from that sweater. I have found that creams are one of the hardest to coordinate. You have to be real careful which creams you use together. They can look dirty, yellowed, or pale by turns. When I start a project where I need a lot of cream felt I make piles of all the creams that look good together before I get started. Grey felt doesn’t have this problem at all. Most grey felts can mix without a problem. Yarns will drape in different ways depending on the fiber content, tightness of the gauge and treatment of the material. Acrylic: Lumpifies, drags off of hangers and sages. I can’t tell you how many hand knitted sweaters I find in thrift stores made from Caron Simply Soft that look like a flour sack hanging off the hanger. Almost always it is done in garter stitch. It feels so nice in the ball, but when you knit it up it looses all shape and gets saggy. I will use it for baby quilts and baby sweaters but never for adult sweaters. I do use it quite a bit for softies, but I use a pretty tight gauge which it responds well too. Don’t get me wrong, I use a lot of Acrylic, I think it is awesome and Caron Simply Soft is my fav. Just know what you are getting into. Wool- Springs back, hugs tight, shapes nice. Wool will keep its shape and it has a lot of elasticity which makes it great for garments and softies alike. Especially after blocking you have a greater likely hood of a quality finished product if you use wool or wool blends. Cotton- Drapes into a cascading fall. I have found that cotton yarn drapes and sages a little. Not as much as acrylic, but it does more than wool so it is less forgiving. I don’t knit with much cotton at all, partially because of cost, and partially because of availability. Why is Pink called Pink? Have you ever wondered why Pink is called pink instead of light red? Some how it gets its own color name like blue, green, red, orange, purple, brown, black, white,and yellow when it is just a different value of red. No other color does that. Navy blue, baby blue, all have “blue” as part of the name. Think about it, all other colors do the same thing. Even tan, we still think of as brown, but how many of you think of pink as red? The only exception to this is maybe lavender which is a specific type of purple, but that is iffy in my book. It is my experience that men don’t know the difference between lavender and purple, but they all know the difference between pink and red. Once you know what you want, now you just need to find it, and on a budget too. Know what things cost: Figure out how much things cost for how much at a variety of stores. That way if you find a deal, you know it, and can take advantage of it. It also helps you avoid what you think might be a great deal but isn’t. Coupons and store circulars: Sign up for the coupons and circulars in your frequently shopped stores. Know how often certain sales are and use that as a judge on how much you should stock up when there is a sale. Garage and Yard Sales: I found a four tier bead holder (with the beads, brand new!) at a garage sale for $10. I probably could have negotiated down, but $10 was such a deal, it would have been over $50 in the store. My father once found me 200 packets of Kool Aid for yarn dying for $2, and at the same sale my step-mom got be a gallon zip lock bag of wool roving for free, FREE! Estate Sales: Estate sales are also a great place to have someone else’s stash become your stash. I went to a sale that literally had about 50 little Styrofoam birds. Buttons, yarns, and other supplies can be found in great quantities and at a bargain. Around your home: Never donate, throw away or rag bag a single item without thinking what else it could be. Buttons can be cut off garments that are too warn to donate. 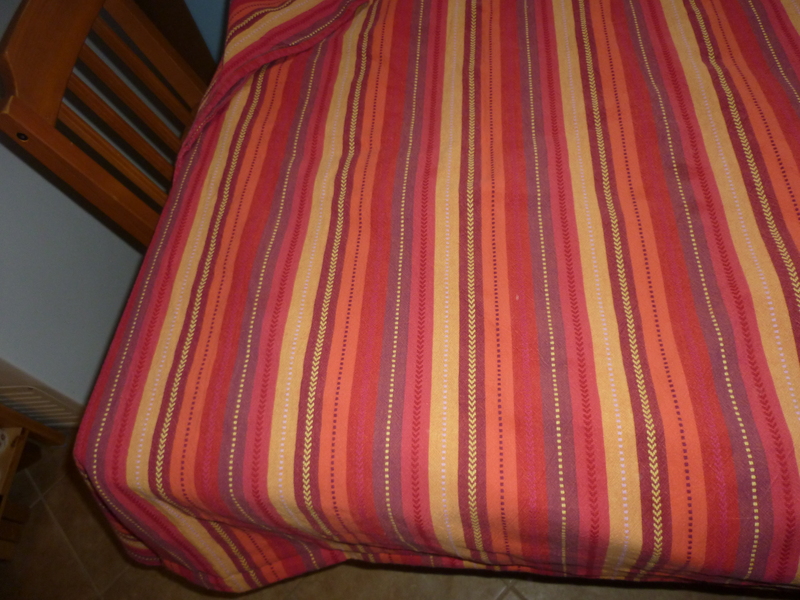 That table cloth that doesn’t fit your table- it could become great yardage for a project. A large glass jar can become storage for your buttons. A vase or bowl that is too big can become a plant terrarium. A chipped tea cup can become a small planter. Too small wool sweater- felt it! Thrift stores: Check out thrift stores for wool garments to felt. Be picky and make sure it is on sale. There will always be another sweater. Table cloths, table runners and place mats make great yardage. Remember those Morse bags I made? 69 Cents for a large table cloth, practically new! The girls and boy’s section is where adult felted sweaters go to die, so don’t forget to check that isle too. Be sure to check out the bins or bags of randoms. 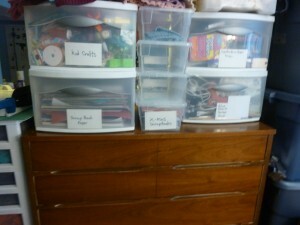 Some have yarn and other donated stash items. I found about 12 OZ of red alpaca yarn, some of it frogged for under $3.00. The jewelry section makes a great place to find beads to un-string and stash. I found a little girls purse for .60 that had beads all over it. The purse was stained so I cut off all the beads and washed them. Perfect! Online stores: Oriental trading company is one of my favorite online craft stores, but you have to be careful, sometime stuff isn’t what you think it will be. They are my go to place for ribbons, rick-rack, buttons and piggy banks. They have a whole collection of piggy banks, pig banks, robot banks, elephant banks, etc. I get these by the dozen for my son to decorate as Christmas gifts. There ribbon, rick-rack and buttons are the most affordable I have found and of reasonable craft quality. Just be sure to sort the buttons once you get them, if you have them organized you will be more willing to use them. This weekend was a good haul as far as thrift store shopping was concerned. 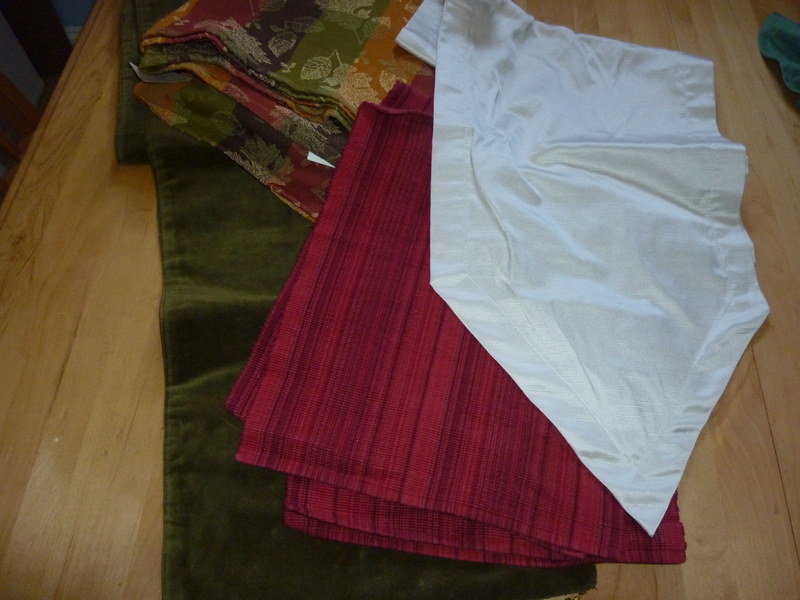 A table cloth that was stained, and later discard for .69, a green velvet table runner for .69, an ivory table runner for 2.00, 4 red place mates for 1.99 and a fall table cloth for 2.00 for a grand total of $8.02 including tax. I will embellish the table runners and make totes from the place mates and table cloths. From the Village discount outlet I found 6 belts for tote handles for 2.00, 4 place mates for .40 each, 3 place mates for 1.90, 2 place mates on sale for .20 each, a pastel table cloth for .90 and a stripped table cloth for 3.90 for a grand total of $11.69 including tax. 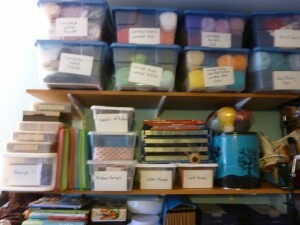 To be a spontaneous crafter you will need to establish a stash. You need to have enough things on hand to provide choices while crafting but not so many things your spouse kicks you out. It is a fine line and one that is fun to push up against. While looking for things to stash you want to keep a few categories in mind. Staples: What are the staples of your craft? If you do a lot of quilting you are going to want to stash muslin and solid colors in your favorite pallet. If you do a lot of knitting, what is your favorite colors and weights? What are you always wishing you have more of? Versatility: What kinds of items can be used again and again in different projects? 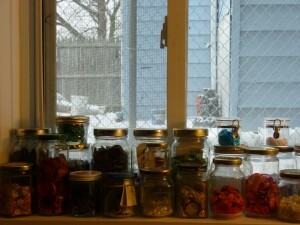 Things like beads, buttons and ribbons have a ton of applications and are great things to stash. Finishing bits: What things do you need to finish projects? Things like pipe cleaners for knit softies, googilie eyes for kids crafts (why only use two? Seven or eight look better), Velcro and fasteners should be stocked up on as well. Different types of fibers react to moisture differently, and the key to a good project is to choose the correct fiber for the item you are knitting. Below are the three most common types of fibers. Cotton: Cotton wants to be wet, it wants to pull in those water molecules and love them, and hold them, and keep them as long as it can. Cotton is ideal for absorbency and items that move around water like towels, dish rags and bath mats. However, once saturated it will take a long time to dry. Acrylic: Acrylic doesn’t want to be wet, so it starts out by shedding the water. But after a little bit it throws a temper tantrum and says “Fine then! IF you want me to be wet I WILL BE!” and then grabs onto the water and holds on. 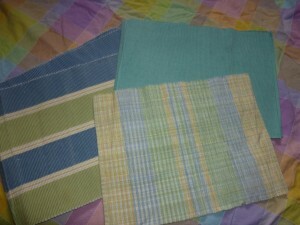 It doesn’t make good dish rags or towels and is an OK choice for winter wear such as mittens and hats. This is especially true if wash-ability and fiber allergies are a factor, but once wet it won’t keep you warm. It drys faster than cotton. Wool: Wool hates to be wet, it can shed water droplets without absorbing them. It does everything it can to stay dry and it will take any excuse to become dry again. It will shed water because of gravity and items that have gone through the spin cycle of a washing machine are almost dry to the touch. It also still keeps you warm while wet which makes it an ideal cold weather garment. If you are like me you are a busy person. With work, cooking, cleaning, child care, child’s school commitments and family and friends my time is precious. Sometimes I only have 10 minutes before I have to leave to pick up my kid to get some crafting done or 15 min as the pasta pot is coming to a boil. If you have to drag out a sewing machine, set it up, or dig through boxes for other supplies you won’t be able to take advantage of those stolen moments. 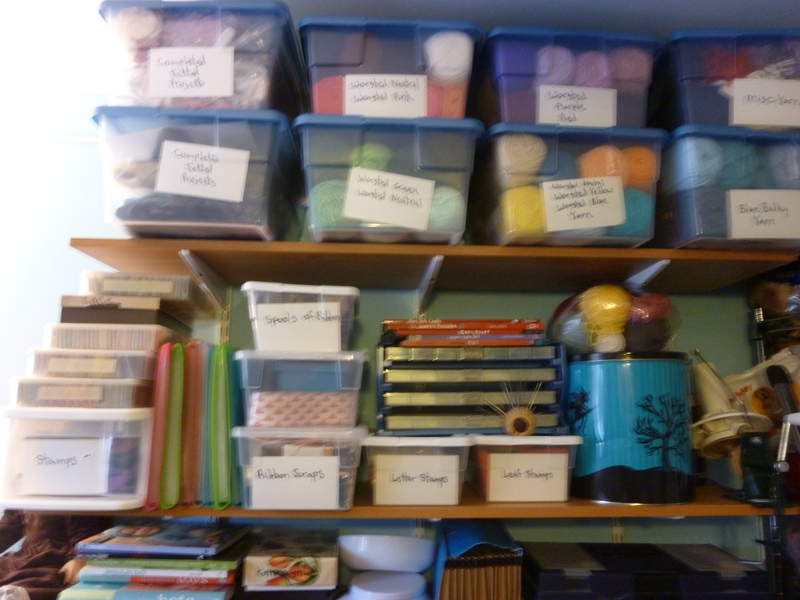 So get yourself organized and dedicate a space to your crafts- even if it is only a table- and you can take advantage of those brief moments in time. It will surprise you how much crafting you can get done if you don’t have to spend time setting up. My space is the family room portion of a large dinning room, it also doubles as my work space so I keep my laptop there as well. The space itself is maybe 6 ft by 8ft, with a room divider created out of bins and a dresser. Shelves on my wall provide storage up to the ceiling. Below the wall shelves is a kids dresser that my son out grew. 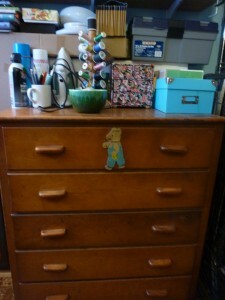 The bottom drawers are filled with yarn. All the yarn is organized by weight and color so it is easy to find and attractive in the bins. The top of the dresser holds frequently used equipment. A jewelry box makes an attractive and functional place to store safety pins, bobbins and other sewing machine notions. Everything has a place and everything is in its place. The green bowl acts as a catch all until something can be organized such as buttons cut off a shirt going into the rag bag. 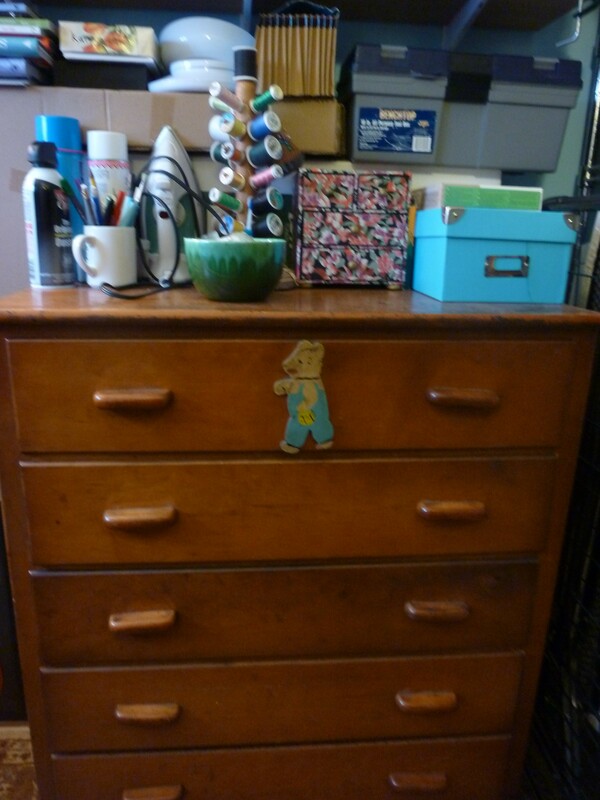 The space facing the room has a dresser found in the alley and restored by my husband. This is the unofficial Chicago recycling plan. I once put out a toddler bed that didn’t last 45 minutes before it was picked up. Bins on top of the dresser are labeled with contents and small shoe boxes have organization for works in progress. My button collection is one of my favorite things. I have all the buttons sorted by color in glass jars. I have these in my window ledge that my desk faces. I get to admire them with the sun shinning through and if I need a green button- I know exactly where it is. Providing adequate storage is key to being able to organize your stash, and once everything is at your finger tips it will amaze you how much more time you spend crafting. 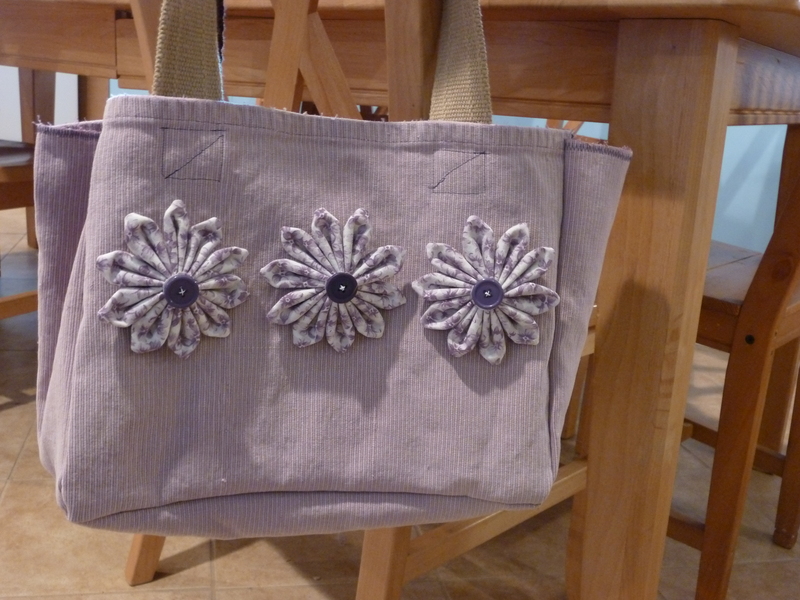 I made another placemat bag and decorated it with three Kazinashi flowers. This bag didn’t work out how I would like because the edges were triple thick and made it difficult to seam. I had to cut off all the seamed edges to make this work out. So if you make your own, make sure the edges aren’t really thick. In Betz White’s Sewing Green she has an article about Mors bags at http://www.morsbags.com/. 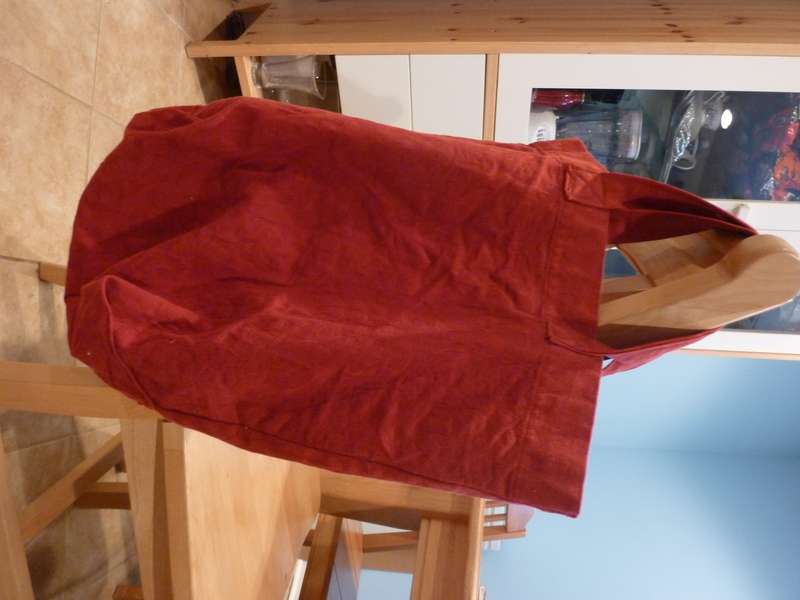 This site has a free shopping bag pattern and encourages the sewing of these bags from recycled materials or from your stash and then giving them as gifts or to hand out at grocery stores to stop the use of plastic bags. I have made 14 bags so far. 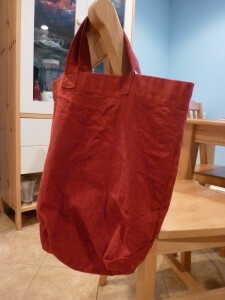 I have made a set of 7 bags from this reclaimed red table cloth that I got for $3.00 at the thrift store. I got this table cloth on sale for .69, practically brand new at a thrift store. 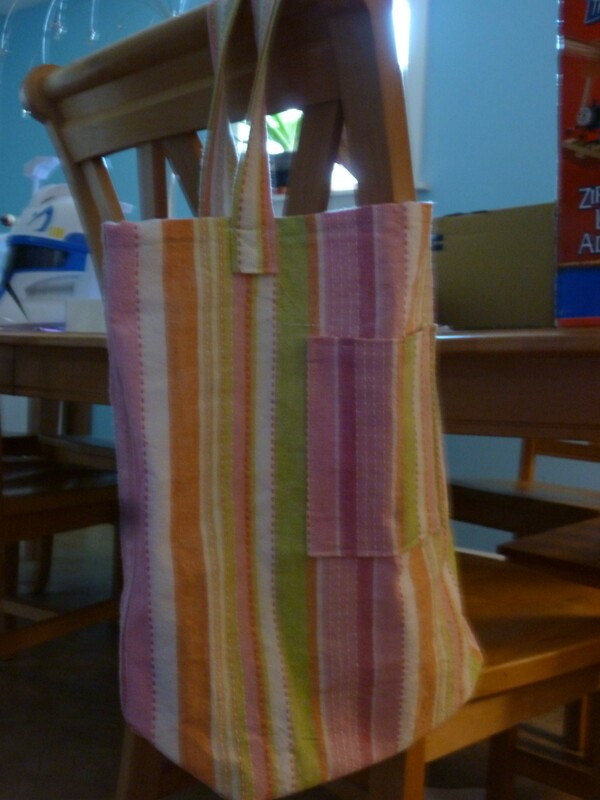 I made a set of 5 bags and I put pockets on the outside.